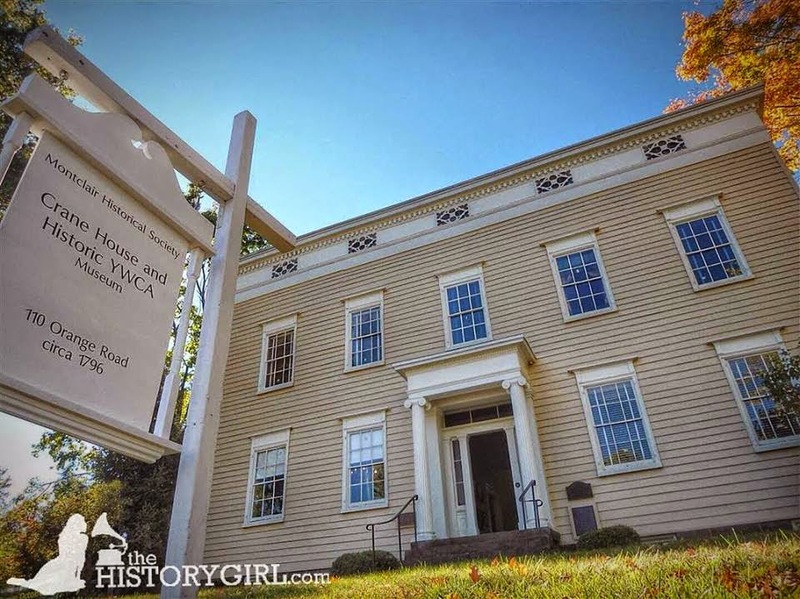 NJ Weekend Historical Happenings: 4/2/16 - 4/3/16 ~ The History Girl! Beginning Saturday, the Historic Village at Allaire will be open 11:00 am - 4:00 pm every Saturday and Sunday until mid-December! 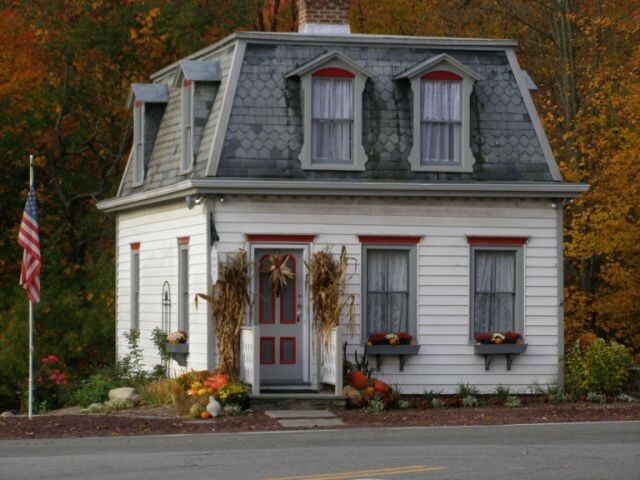 All of the homes and craft shops will be open for tours and craft demonstrations! There will be a special Evening Lantern Tour from 7:00 pm - 9:30 pm exploring the sights and sounds of the village at night. Pre-registration is required. Tickets are $10 per person. Admission is free for opening day. Bi-annual Hancock House Massacre Commemoration. Come enjoy tours of the Hancock House historical site, enjoy reenactments, and this year's guest speaker is award winning NJ Historian Michael Adelberg who will be speaking on "The Foraging Wars of NJ" at 10:00am. The event runs from 10:00 am - 3:30 pm. The Hancock House Historical Site is located on Front Street in Hancock's Bridge NJ. For more information, call 856-935-4343 or visit www.facebook.com/FOHHNJ or www.fohh.20fr.com. Next in our series, "Everything Grows at Peachfield" is making dyes from Peachfield's plants and berries. Bring color to your world the Colonial way by harvesting dye materials such as Lily of the Valley, acorns, black walnuts and pokeberries. Then cook your harvest in water over an open pit fire. Newly sheared sheep's wool will then be dyed in these naturally brewed colors. Join the staff of the Great Swamp Watershed Association and Morristown NHP for a joint nature hike through Jockey Hollow. Learn about the contrasting viewpoints on nature between today and our 18th century ancestors. Hike lasts from 10:00 am - 12:00 noon. Meet at the Jockey Hollow Visitor Center, 580 Tempe Wick Road, Morristown NJ (address is approximate). Hike is FREE of charge. No reservations necessary. For more information, call 973-543-4030 or visit www.nps.gov/morr. As part of historic Batsto Village’s ongoing Second Saturday speaker series, the Batsto Citizens Committee, Inc. is pleased to announce the return of Samuel Still. Mr. Still will present the “Still Family Historical Significance to South Jersey and the Pinelands” on Saturday in the Batsto Visitors Center auditorium beginning at 1:00 pm. Samuel Still is the third great grandson of Levin and Charity Still. His third great-grandparents were the parents to William Still who proclaimed him as “The Father of the Underground Railroad” by the New York Times in 1902. Parking is free and there is a $2.00 per person admission fee. Batsto mansion tours are also being conducted beginning at 10:00 am and conclude at 3:00 pm. The Nature Center will be open with science and nature exhibits and special activities for children. Batsto Village is located in Wharton State Forest in Burlington County, South Jersey approximately seven miles east of Hammonton on Route 542 and 15 miles west of Exit 50 of the Garden State Parkway. For more information, call 609-561-0024 or visit www.batstovillage.org. 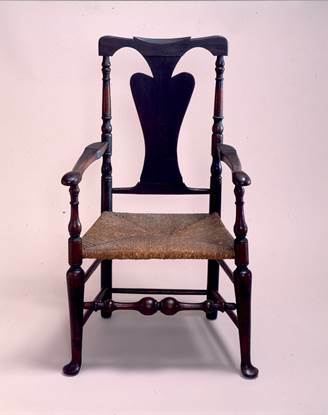 On Saturday, Monmouth County Historical Association will hold a day-long seminar on eighteenth century chairmaking in Monmouth County. The program will be led by Joseph W. Hammond, Curator of Museum Collections for the Association. Focus will be placed on locally produced bannister-back, fiddle-back and slat-back chairs of several different types. Approximately twenty examples with histories of ownership among the old families of Monmouth County will be studied in detail. They will be drawn from the Association's extensive collection of documented local furniture, and also from private collections. 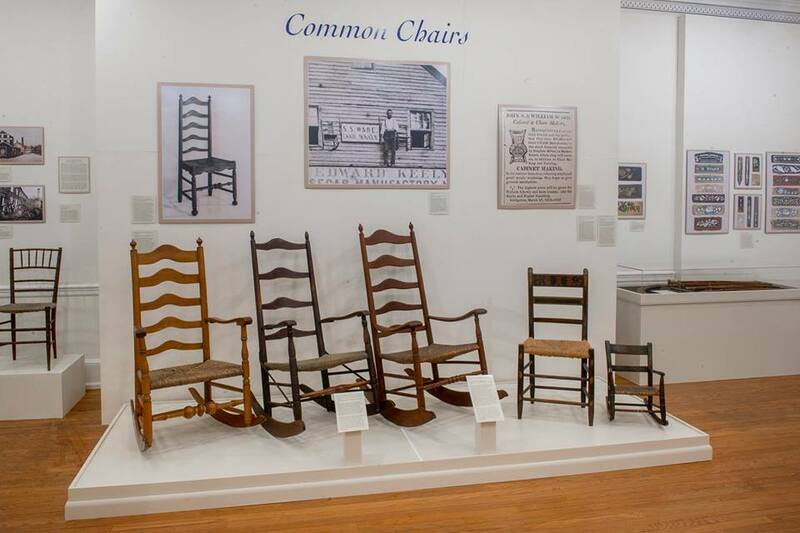 Chairs that have been attributed since the 1930s to the Maps family of West Long Branch will be closely scrutinized. That investigation will take advantage of a series of photographs taken about 1933 of many chairs still owned at the time by Maps descendants. 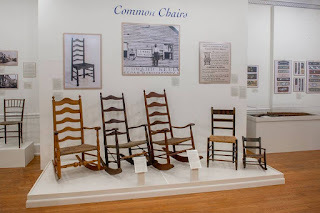 Using a variety of analytical techniques, participants will be asked to sort all the chairs on display into groups possibly attributable to individual craftsmen even though their names are not at present known. The seminar, to be held at the Association's museum at 70 Court Street in Freehold and will begin at 10:30 am and end at 3:00 pm. 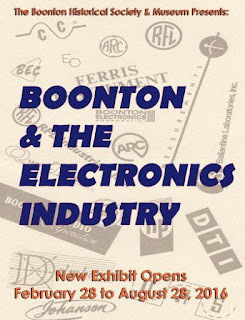 The program will be of interest to serious collectors and students of New Jersey furniture, as well as those individuals who wish to learn more about the techniques of furniture connoisseurship. Because this is a very hands-on session involving close examination of authentic eighteenth century chairs, registration will be limited to fifteen participants. Lunch and beverages will be served. Advance registration required. $75 per person. To make your reservation call 732-462-1466 x11 or email pgithens@monmouthhistory.org. For more information, visit www.monmouthhistory.org. 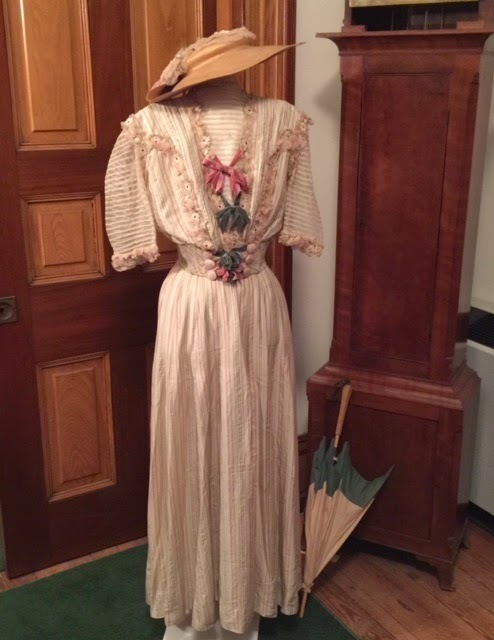 Celebrate the warm weather with the Burlington County Historical Society! Meet the fuzzy friends of the 4-H Club "Crazy Critters," including rabbits, guinea pigs, and feathered friends. Decorate a real egg for you to take home. Get a chance to explore our colonial playhouse. Make spring themed crafts and more! Program runs from 2:00 - 4:00 pm. $5 per child. Children under 2 and adults are FREE. Program held at the Burlington County Historical Society. Entrances to the building can be found on 457 High Street and 454 Lawrence Street, Burlington, NJ. Registration strongly suggested. Call 609-386-4773 or burlcohistsocprograms@verizon.net to register. A brief history of 18th-century women and their rolls as mothers, businesswomen, soldiers and wives, with a discussion of women's rights and limitations during the era, presented by Diane Lingsch in the Dutch Barn at Rockingham at 1:30 pm. On Sunday, join Linda and Bob Barth, authors and canal enthusiasts, on a tour of one of Somerset County's historic treasures. You'll visit locks, bridges, and other structures along the canal and learn how it was built by local workers and immigrants. This tour will visit some of the picturesque villages that grew up alongside the canal. 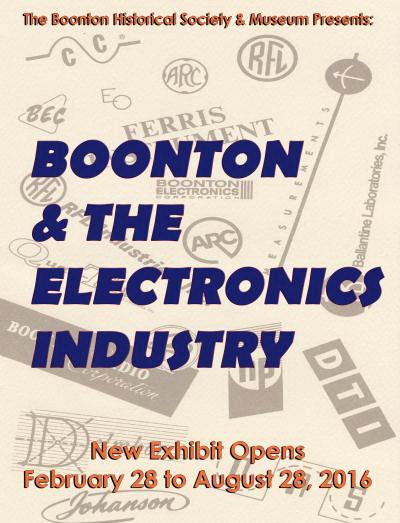 Learn about the many industries that developed along its route. This is a perfect outing and a unique educational experience for the entire family. The bus tours will leave from the parking lot of the former Rhythms restaurant, 729 South Main Street (Route 533), Manville, NJ at the corner of the Weston Canal Causeway (Route 623)/Wilhousky Street. The cost is $20 and reservations are required. 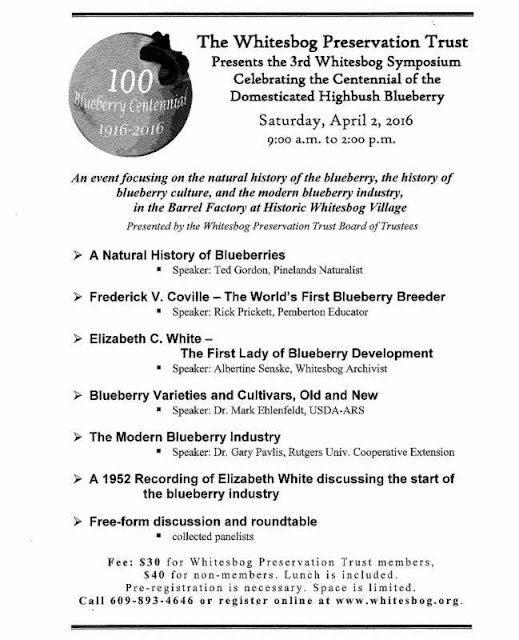 To reserve your place, please call 732-356-8856 or visit www.heritagetrail.org. Please indicate your choice of tours: 10:00 am or 2:00 pm. 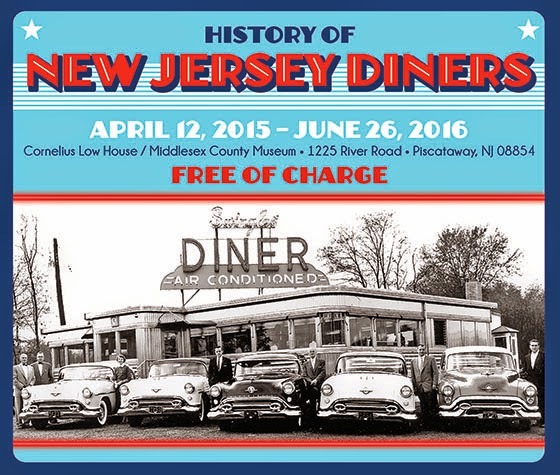 Join us to celebrate the 350th anniversary of the founding of Piscataway. At this event for all ages we will create Native American and Colonial crafts, learn about Piscataway's beginnings, and have fun! We will also toast Piscataway with Colonial tea and a birthday cake. The program will be held from 2:00 - 4:00 pm at Kennedy Library, 500 Hoes Lane, Piscataway, NJ. 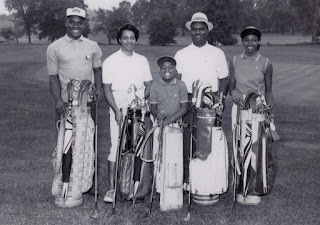 For more information, call 732-752-1166 or visit www.piscatawaylibrary.org. On Sunday, the Walpack Historical Society will sponsor a hike in honor of the National Park Service's 100th anniversary, celebrated this year. The hike will be co-led by Marie Liu and Dawn J. Benko. Marie Liu has been designated "Artist in the Park" for 2015-2016 by the Delaware Water Gap National Recreation Area. Marie and Dawn, a photographer, co-wrote A Guide to Waterfalls Along the Upper Delaware River. The book will be available for sale at Walpack Center before the hike. The hike is a 3-mile loop along the Tumbling Waters Trail at the Pocono Environmental Education Center (PEEC), a nonprofit organization located in Dingmans Ferry, PA. PEEC has been in existence since 1972. Its mission is to advance environmental education, sustainable living, and appreciation for nature through hands-on experience in a national park. PEEC and the Walpack Historical Society are partners with the Delaware Water Gap National Recreation Area (NRA). Participants for the hike will gather at the Rosenkrans Museum, Main Street, Walpack Center, NJ within the Delaware Water Gap NRA at 11:00 am and carpool to PEEC. The hike is rated Moderate. It is over rocky terrain and several steep slopes. This is a trail for true hikers. At a moderate pace it could take 4 hours to hike. All PEEC facilities and trails will be open to the group, including self-guided hikes on Two Ponds Trail, rated Easy and Scenic Gorge Trail, rated easy/moderate. Sturdy footwear, insect repellent, drinking water, a hiking staff and lunch or snack are suggested. 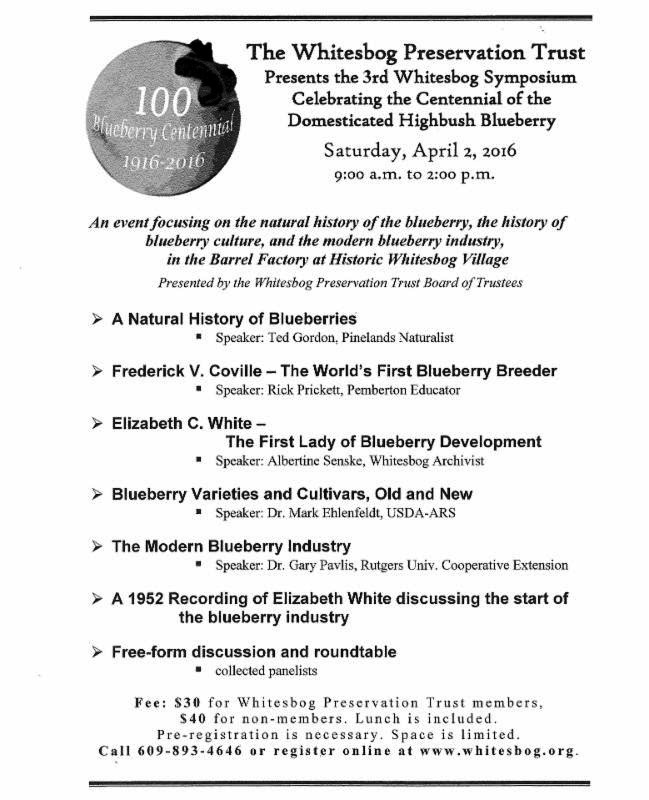 For further information, call the Walpack Historical Society at 973-948-4903. Caroline Lucretia Herschel was the first female astronomer to discover a comet. She would go on to discover seven more. Her record held for 200 years. K. Lynn King portrays Herschel and will relate this and other fascinating stories of this most unusual lady, who broke the gender barrier and became the first salaried female astronomer. Admission is $10 per person; Friends of Peachfield admitted free of charge. Seating is limited; prepaid reservations are required to guarantee seating. Peachfield is located at 180 Burrs Road, Westampton, NJ. For more information and to register, call 609-267-6996, e-mail colonialdamesnj@comcast.net, or visit www.colonialdamesnj.org. The Hoboken Historical Museum is pleased to announce an expansion of its popular Storytime program to include a monthly "Fire Department Museum Storytime," on the first Sunday of each month from April through November. In addition, the museum's Education Curator, Dr. Razel Solow, has designed two age-appropriate "Learn About" sessions at the Fire Department Museum on the third Sunday of every month through November, led by Maria Lara. Both programs are made possible through the generous support of two local organizations: The Hoboken Family Alliance and Party with Purpose. The Fire Department Museum Storytime presents stories and sing-alongs for children ages 2 - 5 years old. It will take place at noon on the first Sunday of each month, starting April 3, and continuing on May 1, June 5, July 3, August 7, September 4, October 2, and November 6. Children must be accompanied by a parent or guardian, and strollers must be parked outside the Museum. The "Learn About" series will offer two sessions on the third Sunday of each month. At 3:00 - 3:20 pm, children ages 2 - 3 years old are invited to learn all about the Fire Department Museum, and older children ages 4 - 6 years old are invited at 3:30 - 4:00 pm. Children must be accompanied by an adult and registration for these sessions is required. The Fire Department Museum is located at 213 Bloomfield Street, Hoboken, NJ. For more information, visit www.hobokenmuseum.org. The Pennsauken Historical Society will kick off its 2016 Season with its first Open House of the Year. The 305 year old Burrough-Dover House will be open for tours every first Sunday, from April to December, from 1:00 pm to 4:00 pm beginning Sunday, April 3, 2016. The Nostalgia Museum located in the basement of the historic house will also be open for tours. Admission is free, and there is ample free parking in the adjacent lot. 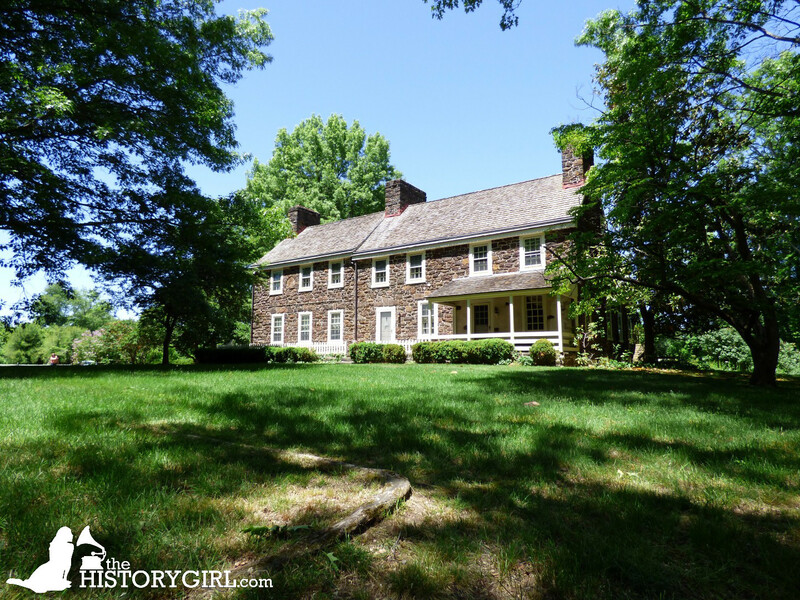 The Burrough-Dover House is located at 9201 Burrough Dover Lane, Pennsauken, NJ. for more information, visit www.facebook.com/PennsaukenHistoricalSociety. 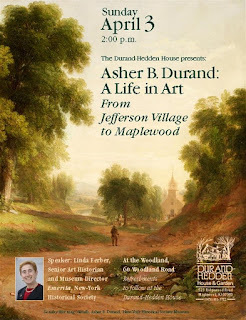 Join Durand-Hedden House & Garden on Sunday, April 3, at 2pm for an illustrated lecture, Asher B. Durand’s Life in Art: From Jefferson Village to Maplewood. 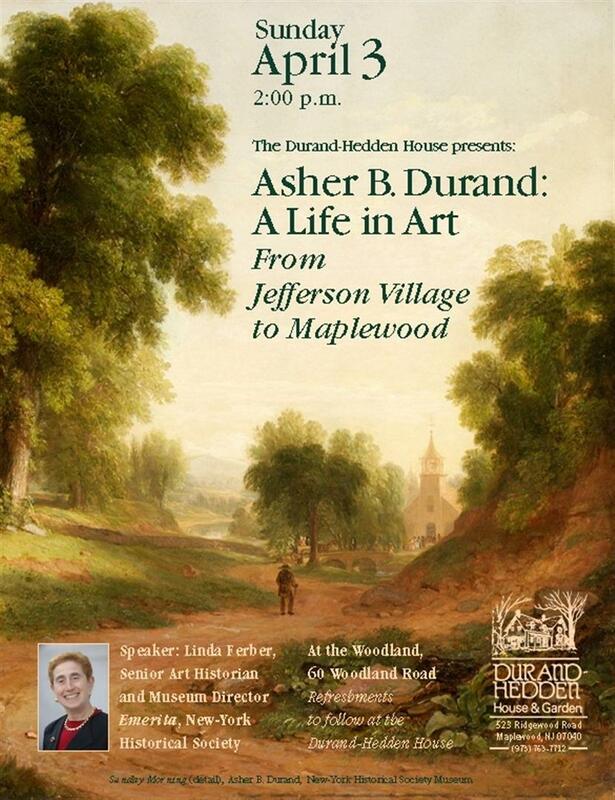 The talk will be presented by a well-known Durand expert Dr. Linda S. Ferber, Senior Art Historian and Museum Director Emerita at the New-York Historical Society and will provide insights into the life and work of a native son of Maplewood, Asher B. Durand (1796-1886), who became one of the most important artists of the 19th century. The event will be held at The Woodland, 60 Woodland Road, Maplewood. Following the lecture, the audience is invited to the Durand-Hedden House at 523 Ridgewood Road for refreshments and to view the House and collection. Artist Asher B. Durand led a long and extraordinary life. He was born in rural New Jersey when George Washington was still president. He died in New Jersey the year of the first exhibition of French Impressionism in America. During his multi-faceted six-decade-long career, Durand truly lived a life in art as an engraver and then as a painter, first of portraits and ultimately of landscape. In all three endeavors - engraving, portraiture, and landscape painting - Durand played a major role in the art of his time by creating resonant images that contributed to an emerging American national and cultural identity. For this event, the Durand-Hedden House is thrilled to host prominent art historian and Durand expert, Dr. Linda S. Ferber. In 2007, Dr. Ferber organized the first major retrospective in thirty-five years devoted to Durand’s career: Kindred Spirits: Asher B Durand and the American Landscape for the Brooklyn Museum where she had been the Andrew Mellon Curator of American Art and Chief Curator from 1970 to 2005. Most recently, from 2005 until the end of 2013, she served as Vice President and Museum Director at the New-York Historical Society (now Emerita.) In 2002, she received the Lawrence A. Fleishman Award for Scholarly Excellence from the Archives of American Art. Dr. Ferber has organized exhibitions, published, taught and lectured widely on a variety of topics in American art history in addition to Asher B. Durand and the Hudson River School including William Trost Richards, the American Pre-Raphaelites, the American Watercolor Movement, The Eight and the Ashcan School, and Albert Bierstadt. At the New-York Historical Society, Dr. Ferber launched Sharing an American Treasure, a highly successful traveling exhibition program drawn from the Society’s own rich collections. She was awarded the 2010 Henry Allen Moe Prize for Catalogues of Distinction in the Arts for her book, The Hudson River School: Nature and the American Vision. That exhibition, highlighting the Society’s landscape collections, is still traveling. In 2011, she organized with guest curator Dr. Barbara Gallati the traveling exhibition highlighting the N-YHS’s rich trove of 19th-century narrative paintings titled: Making American Taste: Narrative Art for a New Democracy. Her exhibition and publication, The Coast & the Sea: Marine and Maritime Art in America, debuted at the Society of the Four Arts in Palm Beach in 2013 and has traveled to a number of other venues. While Dr. Ferber maintains an association with the Society, she is also active as an independent curator and art historian. Current projects include serving as guest curator for an exhibition at the New York Botanical Gardens, opening May 14, 2016, titled Impressionism: American Gardens on Canvas and at the National Gallery of Art, an exhibition about the American Pre-Raphaelites. Durand-Hedden House is dedicated to telling the history of the development of Maplewood and the surrounding area in new and engaging ways. It is located in Grasmere Park at 523 Ridgewood Road, Maplewood, NJ. For more information, call 973-763-7712 or visit www.durandhedden.org. The Presbyterian Church in Westfield has been an integral part of our history since its early beginnings. The Westfield Historical Society will open its new exhibit, "A Visual Walk Through Time of the Presbyterian Church" on Sunday, from 1:00 - 3:00 pm at the Reeve History & Cultural Resource Center, 314 Mountain Avenue, Westfield NJ. Did you know the Presbyterian Church in Westfield (PCW) is the ONLY church in the history of the United States that held a public trial where a man was tried by a jury, and convicted of murder? Did you know that a famous British General camped with hundreds of troops during the Revolutionary War in the old sanctuary? How could the bell, located in the belfry of the church and heard ringing loudly each Sunday morning, have been stolen by the British? Did you see the church when it was cut in half? The Presbyterian Church in Westfield and the Burial Grounds of the West Fields of Elizabethtown have played an important role in the community from its earliest foundations right up to the present day. Come by the Reeve House on April 3 to learn the rest of the stories and more! The exhibit, researched by local volunteers Nancy Cunliffe and Carey Golden, will feature period artifacts and a "visual" tour of the rich history that began in a meetinghouse made of logs and progressed through the renovations and acquisitions that have transformed this place of worship and its cemetery into historical landmarks in Westfield today. For more information, call 908-654-1794 or visit www.westfieldhistoricalsociety.org.